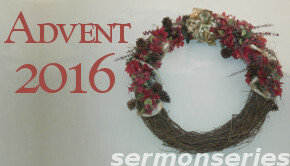 When we hear the word “presence” around this time of year, we assume the topic is “presents”. But instead of focusing on gifts given and received, what about considering the closeness of Christ? What happens when we’re in God’s presence? What Can We Know About God’s Presence? We have already received the first part of the promise of our salvation; the presence of Jesus, of which we’re reminded every Advent. We can also trust the surety of our salvation; the world to come with the Second Advent. Let us wait and watch for both this season.